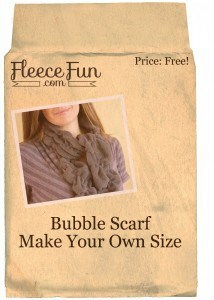 This scarf tutorial is fast fun and has a lot of texture. Decide how long and wide you want your scarf to be. You get to be the designer here. If you want to go the supper easy route – just use a 1/4 of fleece and that ‘s all you’ll need – no cutting involved. 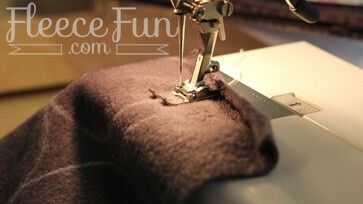 If you prefer longer scarves ( the shirring will shorten it a bit) you will want to sew two lengths together. 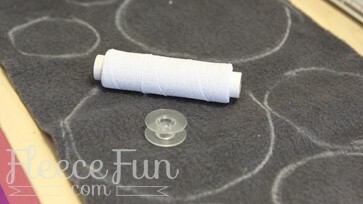 Wind your bobbin with the elastic thread. 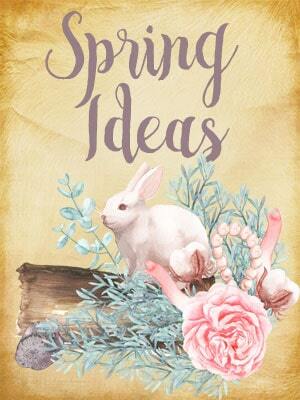 You will need to do this by hand – DO NOT do this using a machine. When you wind have a little bit of tension on the elastic so it will stay on the bobbin, but don’t pull it so tight that it really stretches around it. Just don’t think too hard about it and wind away! 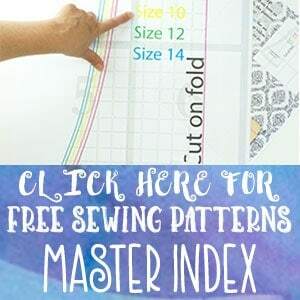 Then using regular thread as your top thread, and the elastic thread as your bobbin thread, trace your circles with your sewing machine, making sure that you finish off the stitching after completing every circle. 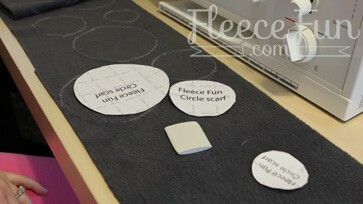 Do this for every circle ( see the “bubbles” start popping out of the fabric!). Once you have traced every circle you’re finished! I just made this and it turned out GREAT! I used a chevron print microfleece and I love it. Thanks for the idea! Mine isn’t working. Did you use a regular stitch? It’s not at all pulling the fabric into a bubble. Can you think of what I might be doing wrong? It is most likely the tension of the elastic thread on the bobbin. Try unwinding it and rewinding with less tension and see if that helps. is there a certain mm of elastic to use with this project? I’m sorry I don’t have the exact mm. But it’s elastic thread – it’s usually with the elastic in stores, but come wound around a cardboard tube. Thanks. I’ll check it out. That scarf looks interesting and easy.